Comment: Some type of critter is making a lot of noise running around and scratching in my attic, probably a squirrel. Comment: Bed bugs brought home. Need help right away! Comment: I hear scratching noises in different parts of the attic mainly in the daytime and late evening. It sounds like only a single critter and not very big. Comment: I see what appears to be termites. Wilson's Termite and Environmental Services, Inc.
206 A E. Government St.
Ridgeland Pest Control Services are rated 4.76 out of 5 based on 284 reviews of 11 pros. 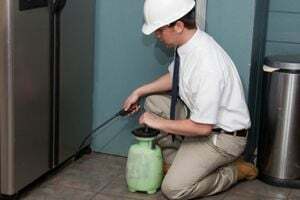 Not Looking for Pest Control Contractors in Ridgeland, MS?